JackIn Head | | Sony Computer Science Laboratories, Inc.
JackIn Head is an immersive experience transmission system based on a wearable camera. It supports capture and transmission of 360-degree surround video, and enables human-mediated telepresence. 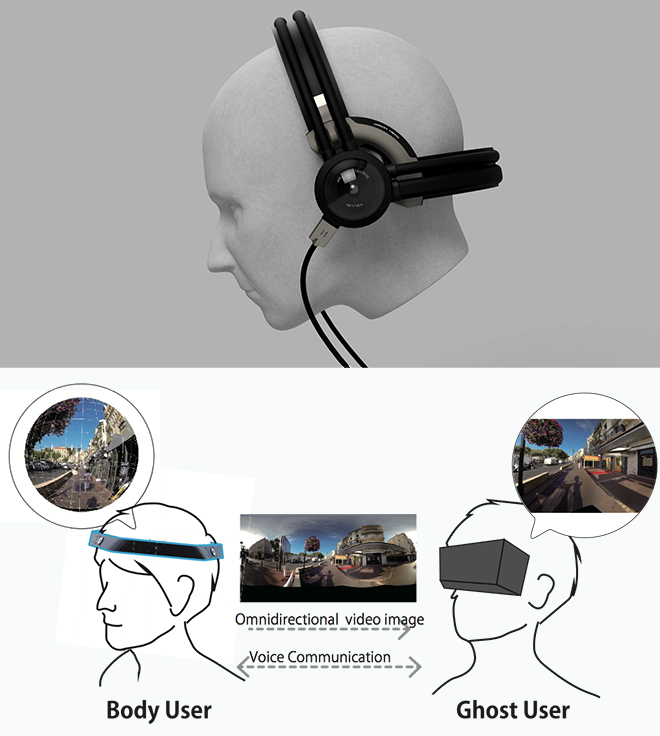 In addition to two-way vocal communication, it supports real-time transmission of stabilized surround video from the Body, so that remote Ghosts can freely look around using a head-mounted display (HMD) or screen while communicating with the Body. This system opens the door to many possible applications, such as virtual real-time tourism and other fascinating real-time experiences. Some examples would be an immersive feed where a Ghost helps a Body prepare a meal; sports entertainment; professional training; and collaboration of experts in situations such as disasters and medical procedures. 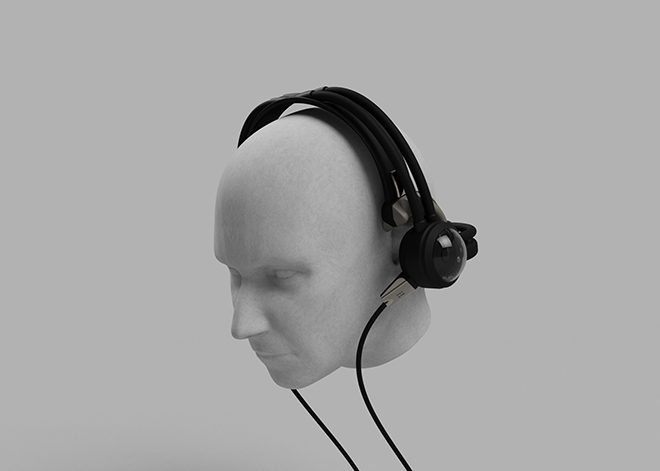 JackIn Head is a joint project with the Rekimoto Lab at the Tokyo University.